Shai Gerson is Managing Partner of Capital Markets at Chardan. 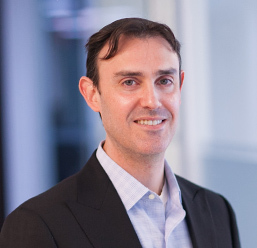 Prior to joining Chardan in 2008, Mr. Gerson began his investment career at Corsair Capital in 2001, serving as a Senior Analyst until 2006, when he left to start Maccabee Capital as a Portfolio Manager. Mr. Gerson earned a BA in History from Yeshiva University. He sits on the Board of American Friends of Yeshivat Har Etzion, an elite post-high school program located outside of Jerusalem. We've received your information, and we're processing your request. © 2018 Chardan Capital Markets, LLC. All rights reserved. Request access to our research reports. Log in to read reports online. Contact us for help or if you would like to get provisioned for access.